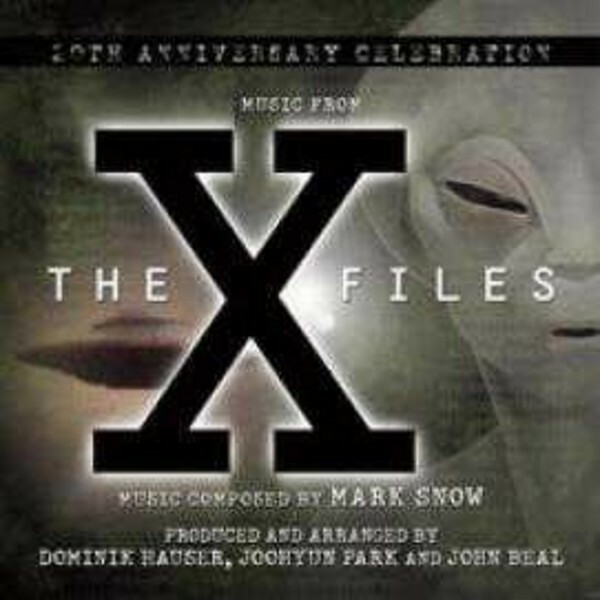 Twenty years ago viewers were transfixed by the weekly drama starring David Duchovny and Gillian Anderson as Fox Mulder and Dana Scully - two FBI agents who investigate supernatural cases, knowing that the truth is out there. Film and television veteran composer Mark Snow was brought in to lead the musical charge for this truth. From the opening notes, the eerie whistle of the main title theme, viewers were immediately engaged in the series, which would eventually boast over 200 episodes and two feature-length movies. While best known for his music for The X Files and its close cousin Millenium, Snow's compositional efforts have encompassed many series (including the popular shows Smallville and The Ghost Whisperer). Snow has also scored numerous made-for-television movies as well as feature films, including several films for the legendary French director Alain Resnais. A Brooklyn native, Mark Snow has been making music since the 1950s. Following a start in the music industry as a popular recording artist with his band the New York Rock and Roll Ensemble, Mark made the switch to composer for television and film in the 1970s. He has been nominated 14 times for Emmys for his work on television series and television films.